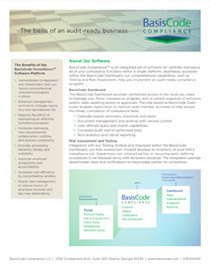 HORSHAM, Pa. and ATLANTA, July 23, 2018 /PRNewswire/ — The Penn Mutual Life Insurance Company (Penn Mutual) has recently selected BasisCode Compliance software to assist its internal corporate audit group in automating audit tasks, risk assessments, FORMs and certifications. Founded in 1847 and based in Horsham, Pennsylvania, Penn Mutual (www.pennmutual.com) is one of the oldest mutual life insurance companies in America. The company’s wholly owned subsidiary, Penn Mutual Asset Management, first utilized BasisCode Compliance Essentials and the Personal Trading Manager system in 2017. Penn Mutual Asset Management is a registered investment advisor with over $24 billion in assets under management and is focused on risk-based institutional asset management, advisory and fund operation services. Essentials offers a comprehensive set of management tools that simplifies management of the core elements of a compliance program and is ideally suited for organizations with simple or complex compliance management needs. 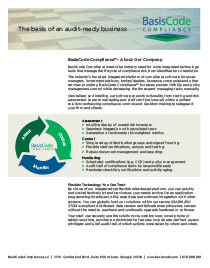 The cloud-based system includes testing and certifications, risk assessment, Forms Studio, gifts and entertainment, whistleblower, document portal, robust reporting and a portal for ease of use and seamless interaction with employees. Personal Trading Manager provides Code of Ethics and work flow support totally integrated into a firm’s compliance monitoring system. 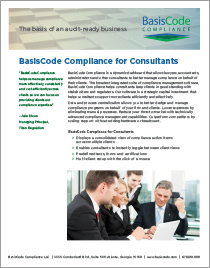 BasisCode Compliance™ (www.basiscode.com), headquartered in Atlanta, offers the industry’s most comprehensive software platform that improves governance and compliance management for financial firms, compliance consultants, law firms and other service providers.